Kim Smith-Whitley, MD, is Clinical Director of the Division of Hematology and Director of the Comprehensive Sickle Cell Center at Children's Hospital of Philadelphia. 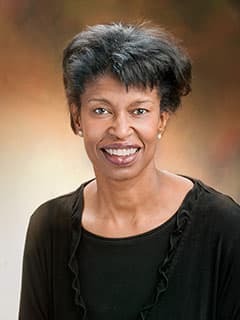 Dr. Smith-Whitley is Director of the Comprehensive Sickle Cell Center, Clinical Director of the Division of Hematology, and an associate professor of Pediatrics. She holds the Elias Schwartz, MD, Endowed Chair in Hematology. She received the 2010 Blockley-Osler Award for excellence in teaching clinical medicine at the bedside. Antiel RM, Halpem SD, Stevens EM, Vrecenak JD, Patterson CA, Tchume-Johnson T, Smith-Whitley K, Peranteau WH, Flake AW, Baraket LP. Acceptability of In Utero Hematopoietic Cell Transplantation for Sickle Cell Disease. Med Decis Making. 2017 May 1:272989X17707214. Doi: 10.1177/0272989x17707214. [Epub ahead of print]. Bride KL, Vincent T, Smith-Whitley K, Lambert MP, Bleesing JJ, Seif AE, Manno CS, Casper J, Grupp SA, Teachey DT. Sirolimus is effective in relapsed/refractory autoimmune cytopenias: results of a prospective multi-institutional trial. Blood. 2016 Jan 7;127(1):17-28.